A recent study by the Smithsonian Institution and the John Hopkins University Applied Physics Laboratory shows that billions of years ago there were severe changes that occurred in the atmosphere of Mars. 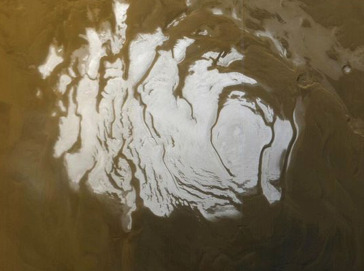 These changes caused rain to fall increasingly faster and subsequently to collide with Mars’ surface with growing force. The surface of Mars is similarly malleable to the hands of the rain as Earth’s surface. Thus, the increasing force of the rain molded the surface and carved river-shaped grooves into the ground. The study showed that though there is no rainfall on Mars today, there was quite a bit of it in the past. To prove this, the scientists who conducted the study used methods first practiced on our very own planet Earth; these methods analyze the causal relationship between rain and the erosion of Earth’s surface and the results are often applied to studies of agriculture and economics, two fields heavily influenced by rain. “Many people have analyzed the nature of rainfall on the Earth, but no one had thought to apply the physics to understanding the early Martian atmosphere,” said Dr. Craddock of the Smithsonian Institution. First the scientists examined how Mars’ atmosphere changed over time. When Mars was first formed 4.5 billion years ago, it was much more substantial and had a higher pressure. Because of this high pressure, raindrops were very small (no larger than 3mm across). In fact, they were more of a collective fog than actual individual rain drops. However, as the atmosphere became less substantial, the pressure dropped, and the size of the raindrops grew. Eventually, they became large enough to be able to cut into the soil of Mars’ surface and create divots and channels.